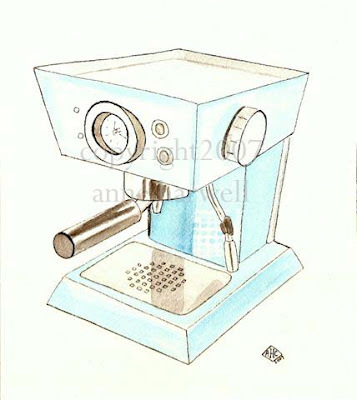 This is a painting of my Dad's prized baby-blue Francis-Francis espresso machine I bought him last year. He loves to take orders from guests and make lots of noise in the kitchen with this. I tease him and tell him it has turned him into a barista! 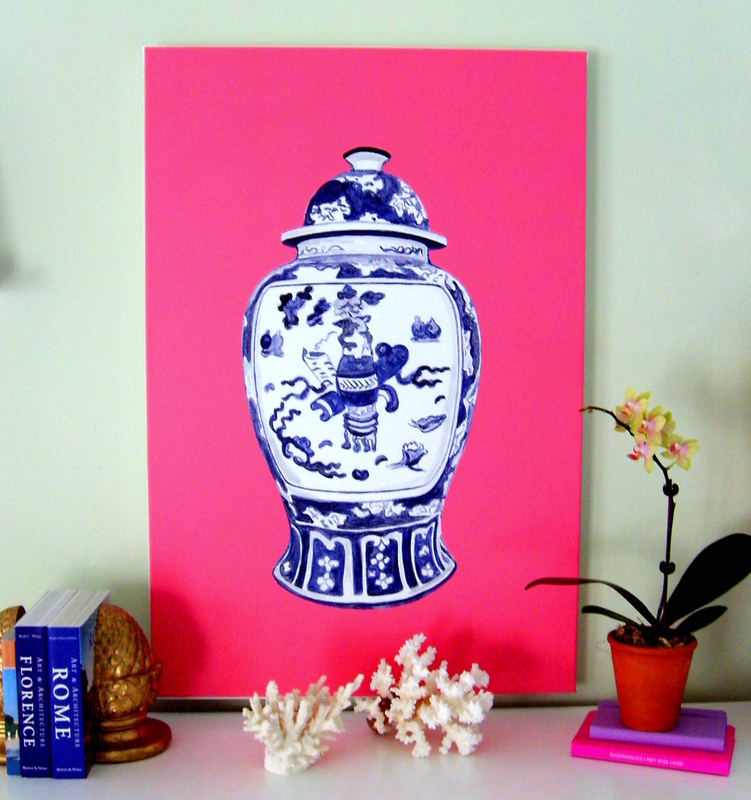 In "Annechovie Prints", "Espresso", "Etsy", "My Work"